If you want to improve the appearance of your skin, skin rejuvenation or resurfacing may be right for you. Skin rejuvenation can be achieved in a number of ways, ranging from laser, light and other energy-based treatments to chemical peels and other non-ablative methods. The result is a smoother, clearer and more youthful appearance to your skin. Static wrinkles: These wrinkles are visible at all times and do not change in appearance with facial movements. Ask for details. Dynamic wrinkles: These are expression lines that may appear as folds when the skin is not moving, and deepen with facial movements or expressions. Ask for details. 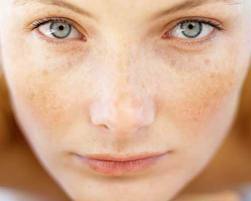 Pigmentation: Freckles, sun spots, melisma, or other darkened patches of skin result mainly from sun exposure. FotoFacial Skin Rejuvenation is a series of Broadband Light treatments that can be performed on the face, neck, hands or body. Using this treatment improves the appearence of rosacea, flushing skin, broken or raised capillaries, sun damaged skin, age spots, skin texture, and photo aging. This treatment also improves mild acne scars, reduces large pores, corrects dark circles around the eyes, and reduces fine lines.